South Florida — (Oct. 2, 2017) — BRIO Tuscan Grille locations in Miami-Dade and Broward Counties are saying “cheers” to pasta in honor of National Pasta Month (October)! With its two-course pasta lunch and dinner combos, available Tuesday, Oct. 3–Sunday, Oct. 29, BRIO is pleased to celebrate this time-honored guest favorite with a select pasta dish, paired with a choice of soup or salad. Prices for the lunch combos start at $14.95; prices for the dinner combos start at $17.95. BRIO locations in Miami-Dade and Broward Counties are at The Falls in Miami, Dolphin Mall in Miami, The Village at Gulfstream Park in Hallandale Beach, The Shops at Pembroke Gardens in Pembroke Pines, and Westfield Broward Mall in Plantation! 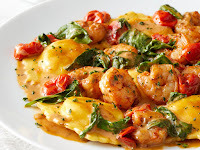 About BRIO at The Falls – MiamiBRIO at The Falls in Miami is located at 8888 SW 136 Street, Miami, FL 33176. The 7,672-square-foot restaurant has indoor seating for 184 guests, and al fresco dining for up to 98 on an Italian-style terrace with an outdoor fireplace. The bar area seats 25. BRIO offers lunch and dinner, as well as a special children’s menu; brunch is offered Saturday and Sunday until 3 p.m. The restaurant is open Sunday–Thursday from 11:30 a.m. to 10 p.m., and Friday and Saturday from 11:30 a.m. to 11 p.m. For reservations, call The Falls restaurant at (305) 234-0012. About BRIO at Dolphin Mall – SweetwaterBRIO at Dolphin Mall – Sweetwater is conveniently located at 11401 NW 12th Street, Miami, FL 33172, at the main entrance on level 1. The restaurant has indoor seating for 226 guests (including a private dining space seating 40) and al fresco dining for 89 on its outdoor terraces. BRIO offers lunch and dinner, as well as a special children’s menu; brunch is offered Saturday and Sunday until 3 p.m. The restaurant is open Sunday–Thursday 11:30 a.m.–10 p.m., and Friday and Saturday 11:30 a.m.–midnight. For reservations, call the Dolphin Mall restaurant at (305) 629-8991. About BRIO at The Village at Gulfstream Park – Hallandale BeachBRIO at The Village at Gulfstream Park is located at 600 Silks Run, Suite 1205, Hallandale Beach, FL 33009. The 13,734-square-foot restaurant is located directly in front of the internationally-acclaimed Gulfstream Park in Hallandale Beach. BRIO at The Village at Gulfstream Park has indoor seating for 200 guests and al fresco dining for up to 120 on two Italian-style terraces. Three private dining areas accommodate groups ranging from 12–72, and the full-service bar area seats 32. BRIO offers lunch and dinner, as well as a special children’s menu; brunch is offered Saturday and Sunday until 3:30 p.m. The restaurant is open Sunday-Thursday from 11:30 a.m.–10 p.m., and Friday and Saturday from 11:30 a.m.–11 p.m. For reservations, call The Village at Gulfstream Park restaurant at (954) 362-1600. About BRIO at The Shops at Pembroke Gardens – Pembroke PinesBRIO at The Shops at Pembroke Gardens – Pembroke Pines is located at 14576 SW 5th Street, Pembroke Pines, FL 33082. The 8,400-square-foot restaurant has indoor seating for 260 guests and al fresco dining for 140 on its outdoor terrace, which includes a full-service bar. BRIO offers lunch and dinner, as well as a special children’s menu; brunch is offered Saturday and Sunday until 3 p.m. The restaurant is open Sunday 11 a.m.–10 p.m., Monday–Thursday 11:30 a.m.–10 p.m. and Friday and Saturday 11:30 a.m.–11 p.m. For reservations, call The Shops at Pembroke Gardens restaurant at (954) 431-1341. 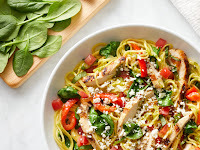 About BRIO at Westfield Broward Mall – Plantation BRIO at Westfield Broward Mall – Plantation is conveniently located at 499 South University Drive, Plantation, FL 33388, next to the Westfield Broward Mall. The restaurant has indoor seating for 116 guests (including a private dining space seating 32) and al fresco dining for 44 on its outdoor terrace. BRIO offers lunch and dinner, as well as a special children’s menu; brunch is offered Saturday and Sunday until 3 p.m. The restaurant is open Sunday–Thursday 11 a.m.–10 p.m., and Friday and Saturday 11 a.m.–11 p.m. For reservations, call the Westfield Broward Mall restaurant at (954) 370-0491.